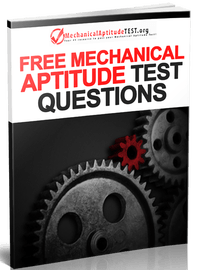 Electrical circuits is another variation of question you may find on your mechanical aptitude test. These questions will usually be displayed as simple circuits where you will need to find out what happens in certain situations. Question 1: What switches must you close in order to turn on the light? Question 2: You want current to flow through the circuit without turning on the light, what switches must you turn on? Question 3: Is the following statement true or false. By turning on S1, current will reach the opposite end of the power source. As you can see there are multiple angles a mechanical aptitude test can take. It's important to have a basic knowledge of how current flows through a circuit. Please be sure to study every variations of an electrical circuit question to be well prepared for your mechanical comprehension test. Find more electrical circuits examples here.